NYON, Switzerland (AP) UEFA says it is taking no action against Real Madrid captain Sergio Ramos for a clash with Liverpool goalkeeper Loris Karius in the Champions League final. A disciplinary rule which allows cases to be opened for serious misconduct not seen by the match officials ”is not applied in this case,” UEFA says. Ramos struck Karius’s head with his right elbow in an off-the-ball incident when the score was 0-0 early in the second half of Madrid’s 3-1 win on Saturday. Television replays also appeared to show Ramos being pushed toward Karius by Liverpool defender Virgil van Dijk. 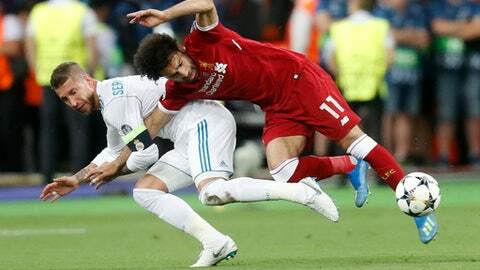 Ramos angered fans of Liverpool and Egypt for his earlier challenge that ended Mohamed Salah’s game due to an injured left shoulder.